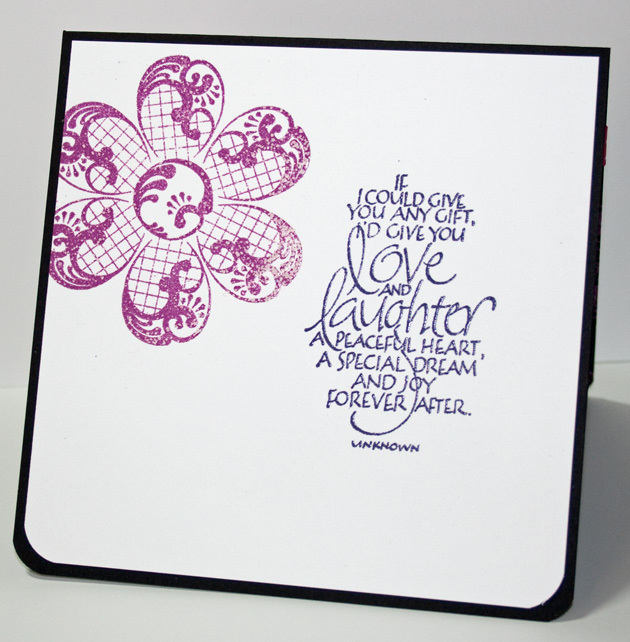 Hi Stampers, I've been having fun playing with the new Marbled Embossing Powders and Swirls stamp set at Sparkle N Sprinkle. This time I decided to try it on black and I love it!! The colors are so bold and striking! I used all four colors and the same Batik Technique for this one. Just a clean and simple card, one layer, but bold and bright...I love easy quick cards like this! 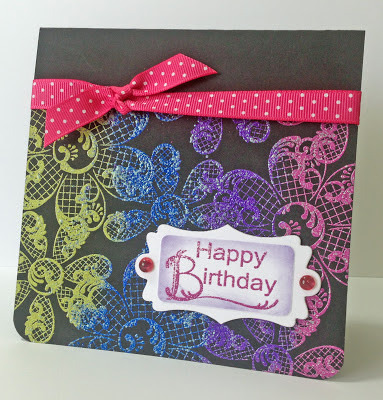 For the inside I stamped the sentiment from Happy Birthday set and embossed with Concord Grape EP instead of the Marbled EP's because the words have fine lines and you wouldn't be able to read them well if they were embossed with the Marbled EP. I'm looking forward to stamping some more today....I am working on another Cascading card....so hopefully will have that to share with you!